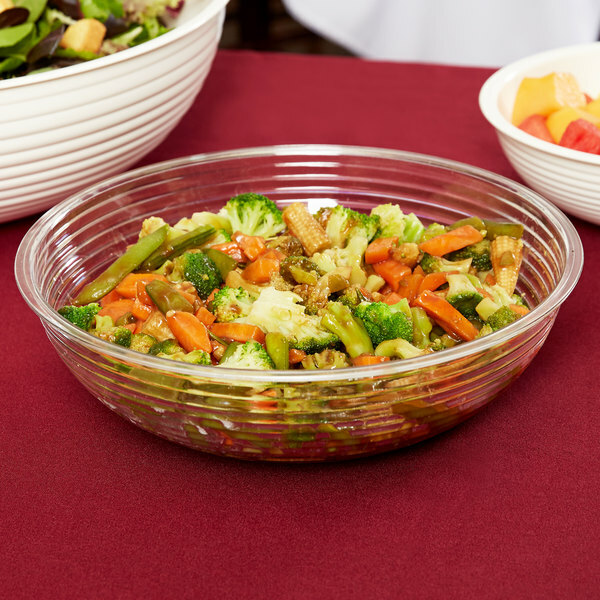 Serve anything from fruit and salad, to side dishes and desserts with stylish, contemporary confidence in this Cambro RSB10CW135 clear Camwear 3.2 qt. 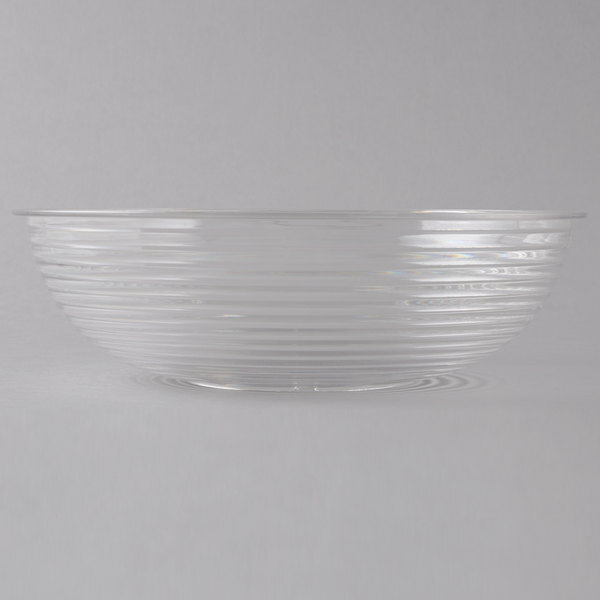 round ribbed bowl. 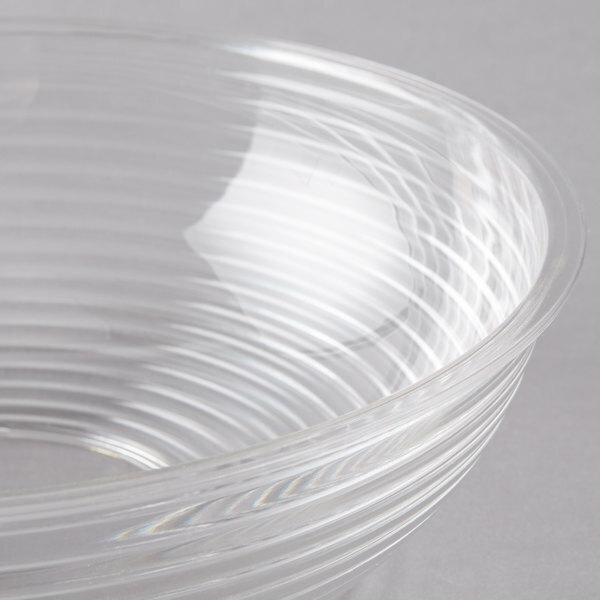 Made of durable Camwear polycarbonate plastic, the Cambro RSB10CW135 Camwear round ribbed serving bowl won't break like glass, dent like stainless steel, or chip like acrylic. It also resists stains, food acids, and odors. 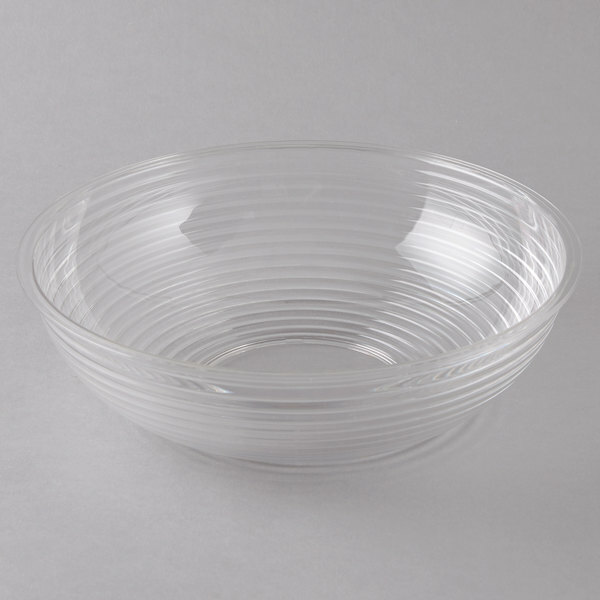 Cambro RSB6CW135 18.8 oz.Clear Camwear Round Ribbed Bowl 6"